Compost pits of the Sealine Society. The Brihanmumbai Municipal Corporation (BMC) served 23,000 notices to Mumbai housing societies from January to June 2017. Reason: not segregating dry and wet waste. The notices, under the Maharashtra Regional and Town Planning Act, were followed by a directive on October 2 stating that the corporation would stop collecting wet waste from establishments that generate over 100 kg of waste daily or premises that are spread over 20,000 sqm. After much protest from the housing societies, the BMC has set the final deadline of January 1, 2018 for societies to build infrastructure to segregate waste. Though the BMC’s move has raised a stink among many housing societies, yet there are a few that have been quietly recycling their waste and regenerating their scarce resources. 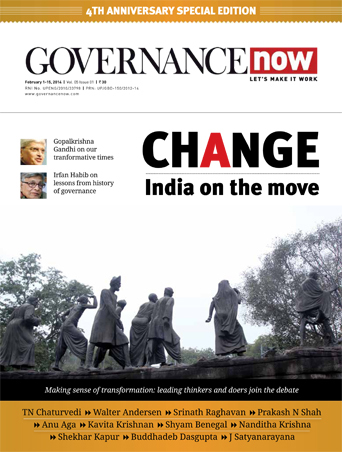 Governance Now visited two such societies which won the ICICI Bank ‘Swachh Society Awards’ in 2016. Supported by the municipal corporations of Greater Mumbai, Thane, Navi Mumbai and Kalyan-Dombivali, the awards recognise those housing societies which keep themselves clean, green and safe, in line with prime minister Narendra Modi’s Swachh Bharat Abhiyan. This small society of 10 flats in the Union Park area of Pali Hill in Bandra has been segregating and vermi-composting (using worms for composting) its waste for more than a decade now. It has also been harvesting rainwater and tapping solar and wind energy to meet its daily needs and incurring huge savings thereby. It has been hailed as a model society, encouraging and inspiring others to go green. However, things were not smooth in the beginning. “There was nobody to look after the building. Some residents lived abroad and some flats were rented. Some residents were careless. With acute water shortage, the society toilets, garbage collection, disposal and general cleanliness was in a mess. It was not a society at all,” says 87-year-old Navin Chandra, a Sealine resident. Chandra has been living in the society since 2000, post retirement. Fed up with the callous attitude of other residents, Chandra, who is a chemical engineer with specialisation in plastics, started consulting experts in the vicinity and got in touch with the BMC to fix the situation. His first step was towards managing waste. The society generates around 15-20 kg of wet waste daily. For this, Chandra set up three units of 3x3-foot vermi-culture pits to regenerate the waste. The pits were created next to the flowerbeds in the society compound, so no extra area was required. “Every morning at 7 the janitor collects waste from each flat. The wet garbage is then added to the pit which has worms and the lid is closed. Once the pit is full, the second one is opened for use. The compost gets ready in two months,” explains Chandra. to various plants in the building and the surplus is given to other societies in the area. But what about dry waste? It is collected and given to the scrap dealer every fortnight, says Chandra. “Collecting and transporting waste is a humungous task. So composting [waste] at source is the only way as you are adding value to the wet waste,” he adds. However, changing mindsets and the general apathy towards the garbage was not an easy task. “You need to be consistent all the time,” he says. The octogenarian works eight hours daily and keeps encouraging people, even in his own society, to recycle waste. 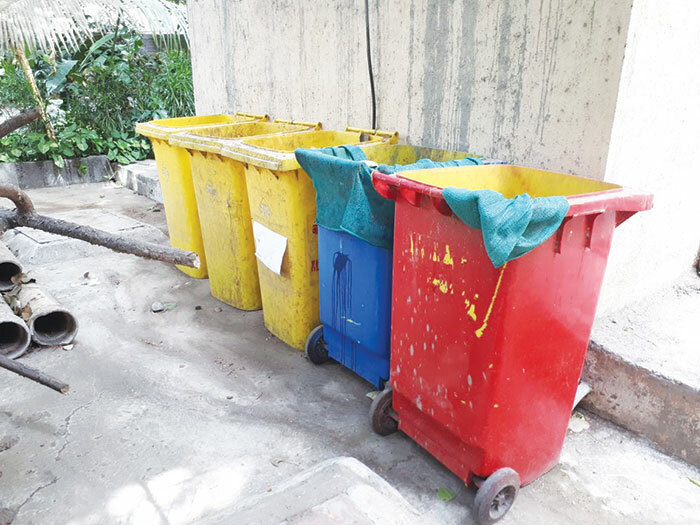 In fact, none of the 50 societies in the Union Park area segregate waste at its source, says Surekha Kotwani, treasurer, Union Park Residents Association. 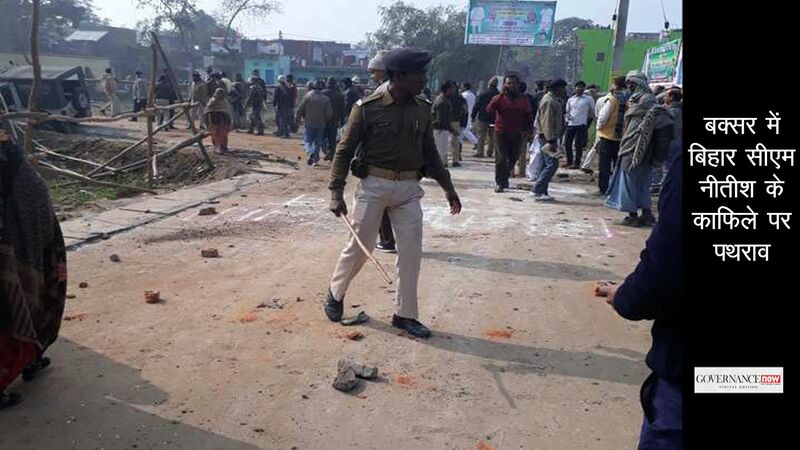 “They are complacent and have a mental block towards garbage that it gives out stench. No one wants to take up the responsibility and don’t want to bear the cost for segregation,” she adds. For Chandra, the next step towards making his society a model one was by battling acute water shortage. Two consultants were roped in and a rainwater harvesting system was set up to capture the abundant rain water during monsoons. The low-lying topography of Pali Hill turned out to be an advantage. Soon the ground water level of the Sealine society rose by 80-100 ft at a time when it was reduced by 300 ft to 500 ft in other parts of Mumbai. Now, the society’s own borewell provides a drawing capacity of 1,000 litres water per hour. With plenty of water in subsoil and increase in the water table, buildings in the surrounding area also don’t face water shortage. To make this water potable Chandra installed an RO water filter machine. “This water is better than the water supplied by the BMC. It gives us 40 percent savings,” says Chandra. Impressed with his efforts, seven housing societies in Khar-Bandra area have adopted similar water harvesting systems with Chandra’s help. 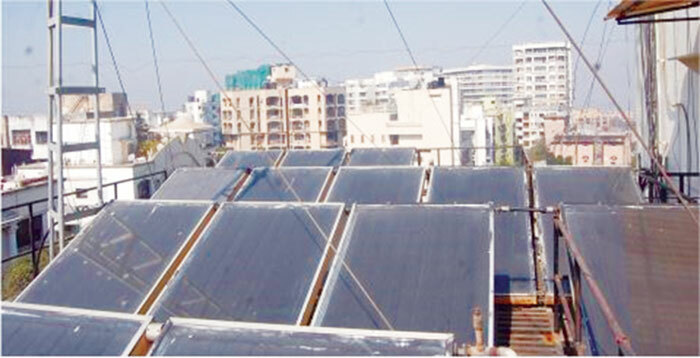 Going a step further, Chandra also installed 16 solar panels on the society’s rooftop. “Now all the common area lighting runs on solar power and we have 30% savings in electricity bills. Besides, geysers in all flats also run on solar power at 70 degree C providing hot water to residents in 30 bathrooms,” he says. To minimise the power loss while converting from direct current to alternating current he has installed inverters. “Total cost of Rs 20 lakh incurred has already been paid back and these facilities are free of cost to the society now,” he adds. During monsoons when there is not enough sunlight, the society harnesses the power of wind. A windmill has been installed for this purpose. With such waste-to-wealth systems in place and utilisation of green power, the Sealine Society saves nearly Rs 1,00,000 a year. 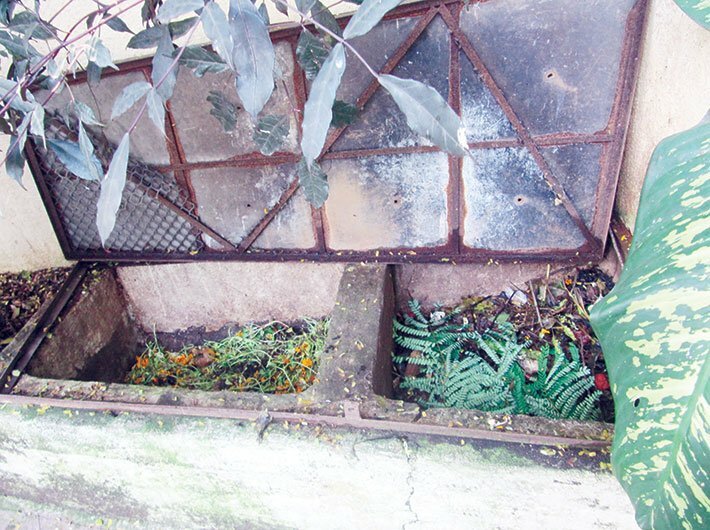 In 2013, when Rupa Divattia, a resident of Shatdal Society, came up with the idea of processing wet waste inside the society premises it faced stiff opposition. Reasons like space crunch, inconvenience to residents, foul smell and breeding of mosquitoes were given. It was only after six-seven months of intense convincing and consultations with Raghunandan Shrotriya, a government-employed civil engineer, the society finally agreed to set up its first 6x4-foot vermi-culture pit on January 26, 2014. The grilled box pit is lined with synthetic net to process waste. Bagasse is added as a base, after which earthworms are put into the pit. Leaves and foliage are added every day and the pit is covered with jute bags. To keep it moist, water is sprinkled every day. Once the pit is full, it is left for processing. It takes around three months to fill the pit and another quarter for processing waste. A second unit has also been established in the society. The society has 99 flats and is spread over 2.5 acres. It generates daily wet waste of 50-60 kg and an equal quantity of garden waste. 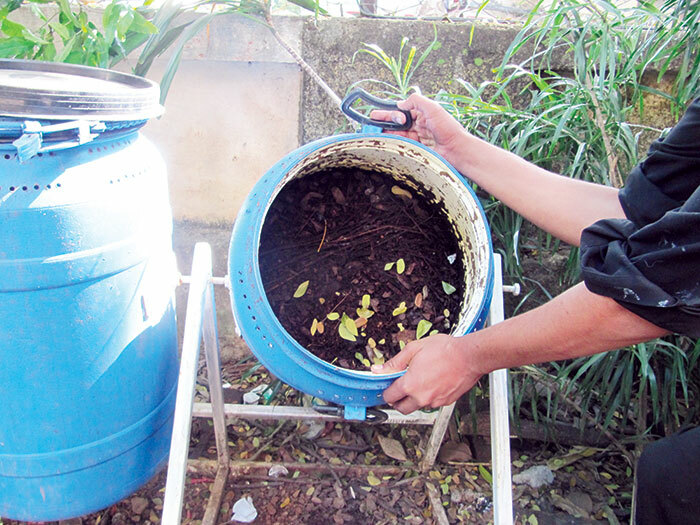 “We did not face any problem of bad odour or breeding of mosquitoes with vermi-composting. We have got excellent results and good quality manure,” says Srikant Parab, the secretary of the society. The society segregates its dry and wet waste in its compound. Individual flats have also started segregating their own waste. For processing acidic items like lemon, vegetarian and non-vegetarian cooked food, three biocompost units with a set of two boxes fixed on a hinge with ‘Bokashi’ (bacteria) culture, a Japanese concept, were set up. In these, leftover cooked food is added every day. The box gets loaded within 8-10 days and sawdust is added for the next 30-40 days. The box is then churned to drain out the moisture through the holes at the bottom. After this process the organic soil for plants is ready. Each unit gives 200 kg of organic soil and costs Rs 9,000. The quality of vermi-compost manure is good and completely organic. 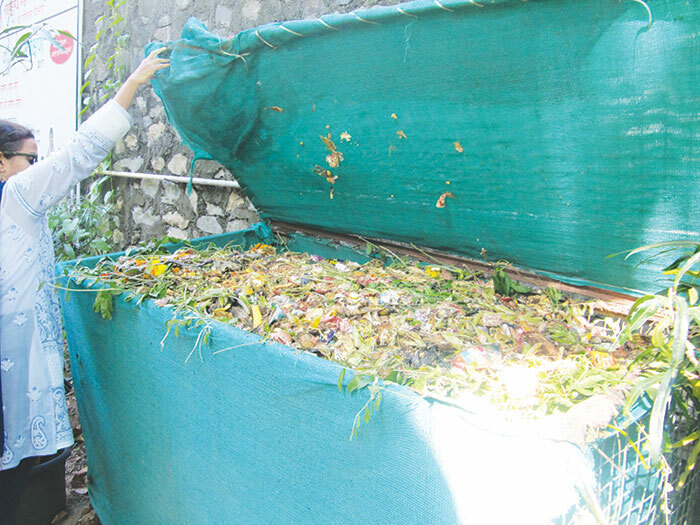 The three units, set up at a cost of Rs 15,000 each, process five tonnes of wet waste and yield 500-700 kg compost at the end of six months. Once the unit is full, the second one is put to use. “Earlier we faced issues as to who will bear the cost of recycling the waste - the residents or society? We decided that the society will pay for it and generate revenue through the sale of manure procured. Initially we sold our manure at Rs 70 per kg. Now we are selling at Rs 75 per kg. 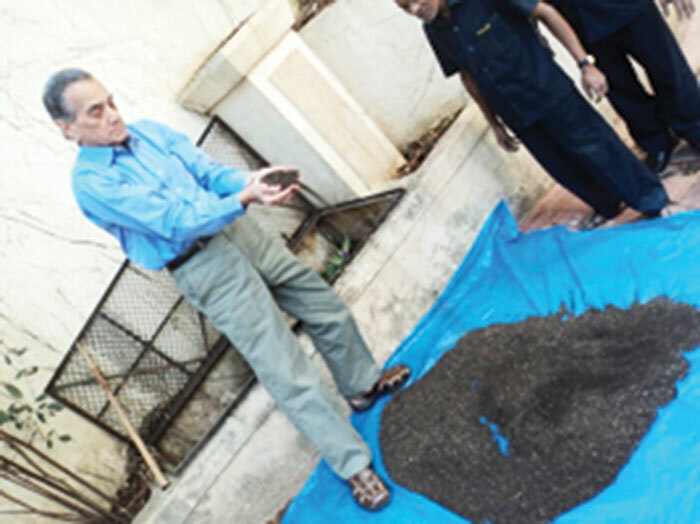 So far we have processed 80 tonnes of manure within our society itself,” says Parab. The society has a huge green area and plants 25-30 trees every year. Dry leaves and foliage from the garden are added to the vermi-pits. “After meeting our own needs for manure the surplus is sold off,” says Divattia. The society has already recovered its cost of setting up the pits by selling the surplus manure, she adds. For managing dry waste the society provides separate bags to all flats to collect it. The dry waste is then further segregated into plastic, paper, metal, glass, wood, etc. by the housekeeping staff. It is then sold off to scrap dealers once a fortnight. “The amount is distributed to housekeeping staff as an incentive to keep them engaged and motivated to work,” says Parab. The society is yet to figure out a way to deal with its medical and sanitary waste; it is currently taken away by the BMC. With no green waste going to the BMC, Shatdal is now close to becoming a zero-garbage society. In fact, the local MLA has gifted the society 28 solar panels worth Rs 7.5 lakh. The society now harnesses solar energy and is able to save a lot on its bills. The Shatdal society has even guided 25-30 other societies in their clean and green energy initiative. Interview with | Seema Redkar former OSD (advance locality management (ALM) – Municipal Corporation of Greater Mumbai (MCGM)). With its dumping grounds turning into mountains of garbage, how is Mumbai planning to handle its waste? The landfills in Deonar, Mulund and Kanjurmarg could be reclaimed. The waste could be reused through biomining or setting up processing plants: bioincinerators, bioreactors, biogas and waste-to-energy plants. For any developing city, recycling of construction and demolition (C&D) waste is the biggest challenge. Like in other countries, there has to be pre-demolition norms or guidelines for C&D [in India]. There will be constraint of space unless C&D waste is carried outside Mumbai. With India’s huge population, demand for food and water will rise, and we would require land to hold water for which more compost will be required. There are policies on managing waste, but they largely remain only on paper. Unlike European countries where food items are standardised, our cuisine is multi-cultural. For setting up a biogas plant or any other project, a stable component of food is required which is very difficult. We need to adopt western technologies but we also need to redesign them as per our indigenous requirements. In this aspect our R&D is failing. The corporation and the government must do R&D in innovation. For example, the city of Pune has modified its sweeping machines bought from abroad as per its requirements. This is not being done in Mumbai. It is here that a PPP model is a must. Also, the corporation must pay tipping fees [a support price determined by the local authorities or any state agency authorised by the state government to be paid to the concessionaire or operator of waste processing facility for disposal of residual solid waste at the landfill] to their contactors. Nowhere in the world is waste processing possible without tipping fees. This must be charged to citizens otherwise waste will never be reduced or recycled. Along with commitment from the administration and citizens, political will is the most important, but it is missing. What challenges does one encounter while segregating waste at the citizen’s level? The commitment from majority of people is not there. Twenty percent people want to do it; and only ten percent are doing it. Implementing authorities must be vigilant and strict on its enforcement. All societies must segregate their own waste. Moreover, we are failing to provide publicity through ICT. While the younger generation is very open to waste segregation we don’t have backup systems. Collection of segregated waste is a challenge. There is no fixed, laid down method [for it]. Indian climatic conditions are very good for composting; and we don’t need any other method. If Mumbai’s entire wet waste of around 7,700 MT, which goes to dumping grounds, is spread across, it will automatically get processed and can be sold as manure. For disposal of sanitary and medical waste we need to have policies at the national level. Corporates generate almost 40% of the total waste. How can they be made to recycle their own waste? Corporates generate a lot of dry and hazardous waste. Wet waste can be converted into biogas. But they don’t want to give up [their] space. Next to my house on a 150 sq ft area TCS has a biogas project. Giants like Tatas and Birlas can come out with plans. In Pune, the Adar Poonawalla Clean City Initiative is a good model. The Ramky waste-to-energy plant in Delhi is very sleek. This can be done first as a business and then as philanthropy. What needs to be done at the BMC level to address this problem? BMC needs to create a lot of ICT awareness and advertise the issue. BMC must give every flat wet and dry bins. It is a one-time investment. Advanced locality management (ALM) units [meant to help areas manage waste and other civic issues] are being delisted for not performing. While a few ALMs may be creating problems, some are making services efficient. They are the eyes, ears and nose in the area. This partnership [between BMC and ALM] needs to be strengthened. When ICICI Bank felicitated societies with their Swachh Society Awards it boosted and gave them encouragement. We need to be sensitive towards class IV workers and appreciate them for we are healthy because our conservancy workers keep our places clean. How can the role of NGOs and organic waste converter entrepreneurs be strengthened? There are very few NGOs working in waste management. None are doing the work professionally. They need to be strengthened and work in partnership with each other. Authorities must not take them as a challenge but as a support. If a rag picker is absent or does not go for collection the work collapses. In tie-up jobs, BMC needs to give incentives like gloves, masks, etc. to long-term and permanent workers. We need to strengthen the livelihood and welfare programmes like Swarna Jayanti Shahari Rozgar Yojana. The International Labour Organisation (ILO) does a lot of funding for unorganised sector workers including SWM [solid waste management] workers who are on contract [more than 50% workers are on contract]. Jharkhand is the only state in India using ILO funds. How easy or hard is it to bring about a cultural shift and build a consensus among citizens and authorities? It is not easy. Like it happened in Surat, Mumbai needs a blow or BMC should say it is not lifting waste until citizens segregate it. At the same time, corporation should also make arrangements to pick up waste on time from every lane or people should know whom to contact when the vehicle does not come. There has to be an organised method of collection, transportation and disposal with the citizens and NGOs involvement. Political support has to be there.